You know what checks all four boxes the fastest? (You guessed, I know. Did the title give it away? :)). 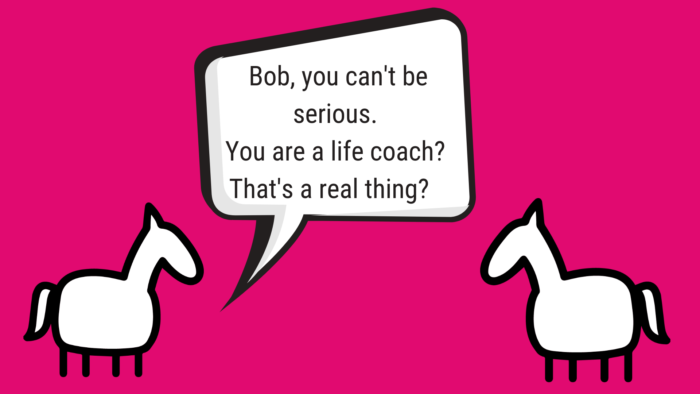 ANYway, if you want to get paying clients quickly as a life coach, then speaking is a great way to do it. First off, before you rush out and offer your services to all and sundry, you need to have a great strategy under your belt. What is the strategy behind your talks? 2) Make money as a life coach, with speaking acting as your main marketing method to reach clients (note: CHOOSE THIS ONE FIRST). Here’s why: When you are just starting out, you often don’t have a lot of speaking laurels to rest on, which is why it’s helpful to view speaking as a marketing tool. What this means is that speaking is a method to get in front of a great audience as a credible authority on a topic, so they trust and like you. And then, of course, once they like and trust you, you can offer this audience a chance to work more closely with you :). This approach is a very simple sales funnel, and if you are curious about how it works, here’s a helpful blog. Basically, you speak for free or for almost nothing, because you are using your speech to invite people to work with you as paying clients, and begin your sales funnel process. You have a captive audience, they get to experience what you are like as an awesome expert, and relationships are made! It’s lucrative too. A typical speaker will make a few hundred dollars to a few thousand dollars per speech. If you choose to speak to get clients instead, and ultimately offer coaching packages for $2000 each to people in your funnel, then you could easily make thousands in new clients every time you speak. That’s how I used to get clients to sign on to $5000 coaching packages with me. #Truestory. And because you are offering to speak for free (this is marketing, after all), it’s easy to get organizations to say yes. 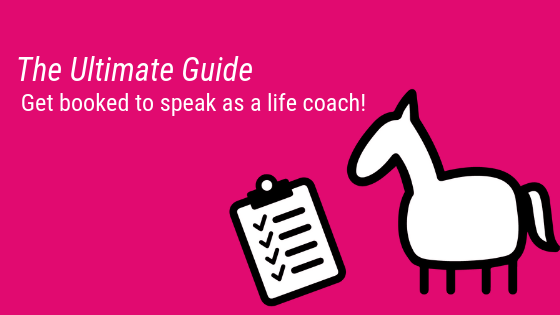 How to get booked to speak as a life coach: Step 2 involves building your talk…which first involves more strategy! 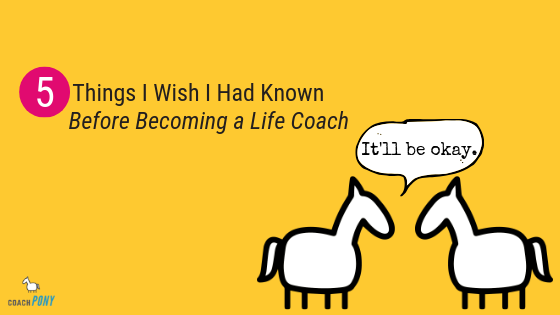 Now, before you rush to write a great talk, I want to underscore that speaking in this case is marketing, which means the whole point of your talk is to get people to want to coach with you. You have several options depending on the speaking venue, your personal style, and what the organizers will allow you to do. 1) Invite people to sign up for a free coaching session or consult (more on this in a second, because simply inviting people for a “free consult” is actually a kiss of death). 3) Invite people to purchase an introductory and extremely specific and helpful coaching session from you, in the room, RIGHT THAT MOMENT. 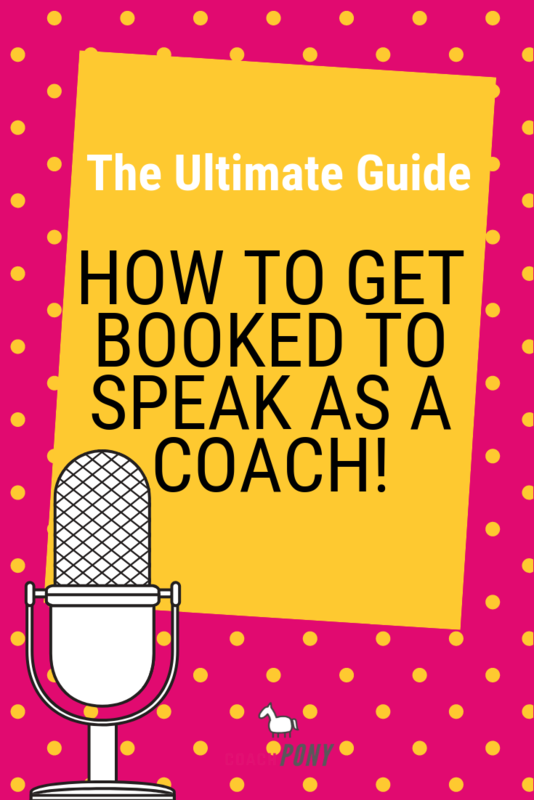 This session is a way for folks to get a taste of one-on-one coaching, and a chance for you to deliver a great session and get paid to also talk to them about your bigger coaching packages. What? Yes! The reason I’m bringing all of this up is because your talk should align with your offering. I’m going to say that again: Your talk should align with your offering. You want to build a talk where it makes sense that the people in the room need more! They need more help! They realize that there is more work to do beyond the 30 or 60 minutes they’ve spent with you…so they should hire you! Now, again, you’ll be limited by what the organizers of your talk will allow, and we’ll get to that in a second. But you should have a great offering in mind at the end of your talk. That’s so vague it’s beyond vanilla. I’m human so I’m selfish, and I want something that solves a specific problem of mine before I’m willing to give you my time, even if it’s free. Obviously helpful means your offering doesn’t use any coachy-language, because people don’t care about coachy language! They don’t care about blocks, they care about why they feel so stuck and exhausted. They aren’t looking for abundance, they are looking for a way to make $20,000 more in their next job. Check with the organizers about what you are allowed to offer, but if you are speaking for free you should, at minimum, be able in turn to offer a free *something* at the end of your talk – usually a consult or session. Sometimes they will let you sell something directly from the stage, which is a wonderful opportunity to get paying clients right then and there. Step 4: Build your talk! Now that we know what your offering is, it’s important to build your talk. Choose a topic that will lead into your offering, something that makes sense when paired with your sales funnel. Think about something that most people you coach struggle with. Is it how to be confident at work? Is it how to have a great first date? Is it something else? Pick a specific topic that has broad appeal for your market (here’s a helpful guide on how to figure out your market), and plays into your offer. So, for instance: You could give a talk on the 8 ways to date successfully as a woman over 50, and then offer an inexpensive introductory coaching session on how to build your first online profile. Or you could give the same talk on the 8 ways to date successfully as a women over 50, and then offer an assessment on how to figure out your dating personality, so you attract the right men to date. The important thing is that your talk showcases your expertise as a coach and opens up the door for people to work with you more closely. 1) Get the audience engaged right away. Start with a story or a question that will grab people. 2) Offer concrete and interesting insight. Give people a tool, data, or an idea that will really stick with them once the talk is done. Make their time with you worthwhile. 3) Have a clear structure to your talk, a beginning, middle and end. 4) Make every story or moment relevant – stay away from things that don’t really matter, or will distract from your overall message. 5) Don’t be afraid to repeat yourself, to hammer the biggest points home. 6) Be a human. If you are nervous, say it :). Let your personality shine through. 8) Make sure the talk is to tailored to the group. You might have a general talk around confidence, so if you are talking to a group of professional women, use examples that will appeal specifically to them. 9) Finally, make sure the talk plays into your offer. To become a good speaker, spend some time watching popular TED talks, or other great speeches, and write down what you liked and what you didn’t in order to help you learn to become better and, of course, get ideas for how to structure your talk! This is the hard part, because it requires 1) Effort and 2) Getting out of your comfort zone. But if you want to speak, you’ve got to woman up and do this. Get out your computer and load google, meetup, eventbrite, twitter, and your local paper, and start researching. Who is having events that appeal to your demographic? Make a list. So, for example: If you are a career coach who helps women in their 30’s and 40’s find work they love, then you will start googling events for professional women. They can be leadership, technology, business, or even wine-related. Just try and find some interesting groups that appeal to your people in general, because *some* of them will be a fit for your coaching. Next up, widen your search. Just research events for women – and see what additional groups and organizations you turn up. Search on twitter with a hashtag your city (#oakland, or #oaklandwomen) and see what happens, and keep adding to your list. Finally round up some friends and family and ask them “Do you know of any groups for professional women nearby?” Ply them with wine and brainstorm. Have some fun with it! Note the times and dates of any upcoming events that you discover, and highlight or star the ones that seem the most promising for you and your work. Before you go, note who the organizers are and try and find photos of them if you can (you can often find them on a group’s website or Facebook page if they have one). You do this so you can easily recognize them at the event. The organizers are your friends. You want to show up to the event and befriend them, as they make the decision for who gets to speak. While you are there, notice: Does this group have speakers? If they don’t, why don’t they? If they do, what are the speakers doing? (Are they pitching products or making offers as a part of their talk?). And also notice who shows up – are they in your demographic for coaching? Does it feel like what you have to offer would be helpful to this group? If you like the group and feel like you could offer them a great talk, then don’t be afraid to pitch the idea to the organizers! Position your talk as being useful or relevant to their people, as well as being fresh and new and not something they’ve had recently. If you have given it before or have some credibility as a speaker, feel free to share! If not, show your credibility through your careful understanding of their organization and demographic. This is why showing up to their events before you pitch is helpful. You can make the pitch in-person if you have a good rapport with the organizers, or you can do it via email or via a form if they are more formal in their structure. We spoke recently at the latest Women and Wine event in DC. I very much enjoyed the speaker and noticed you have a history of interesting talks. I know you’ve recently had lectures on women and leadership and women and motherhood, and I’d love to offer a new talk on “Women and wine and dating after 40.” I observed that you attract a lot of 40+ single women, and I feel like the mix of dating and wine is a relevant one for your crowd, especially one that loves the finer things in life! The talk is a practical approach to using traditional networking events as a seasoned single woman. In it we’ll break down what works, what doesn’t work, and the three big mistakes most women make as they date. Please let me know if you are interested or want to learn more. I’m more than happy to share more details in any way that is convenient to you. Make your pitch about them, with just enough about you so that you seem credible and on point for this group. If they accept, this is when you can also ask about what you are allowed to offer, if they haven’t already made that clear. Most organizations will publicize your speech (yay free marketing!) and they will need your bio and headshot. So get a friend to take 100 photos of you on an iphone in good light on a neutral background (or outside if that is your style), and choose the one that feels the best. Then write a short bio about yourself. 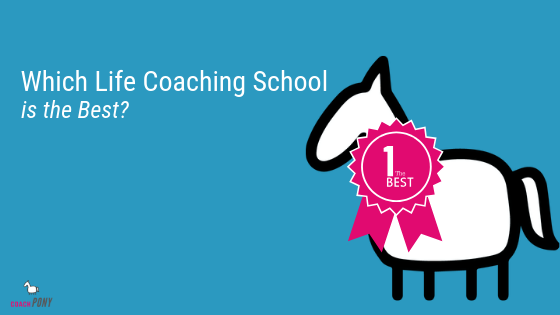 Think about your qualifications, your focus as a coach, and of course, include your website! Most important: Feel free to make it interesting (because interesting is memorable and human, and we as a species like both of those things). Jane Smith is a life coach who loves to help people. She has a CPC, an ELI-MP and is a graduate of Coach University. Jane Smith is a woman on a mission: She’s here to help you find love. And by “find love” she means “Find a grown-up man who has his life together and wants a real partner in life” and not “find a shady guy who lives with his mom.” As a professional dating coach with a side of sass, she’s here to tell you that 1) There are plenty of good men out there and 2) It’s okay to drink a glass of wine while you look for them. Want dating help that actually makes sense? Find her recipe for a great first date right over here [www.janesmith.com]. (This is personality driven, memorable, clear on what kind of coaching she does, and will speak to the right clients for her). Keep working your list of interesting events, and every week either attend something or pitch someone. If you do that regularly, you’ll find that you start to get speaking gigs, and as you do, you start to get paying clients. The key to speaking, as to most things in business, is to be consistent. So set aside time each week to research, pitch and/or attend events and do a little networking to help you raise your profile. Don’t limit yourself to small or local events once you’ve done a few speeches and built up a great talk that leads to clients – play bigger! Look for conferences or gatherings that attract a lot of your potential clients and pitch to be a panelist or speaker at those events. You can start off playing big if you want, but it’s helpful to have a tested talk, some speaking references, and a speakers page on your website if you want to look more professional and start landing the bigger conference fish. 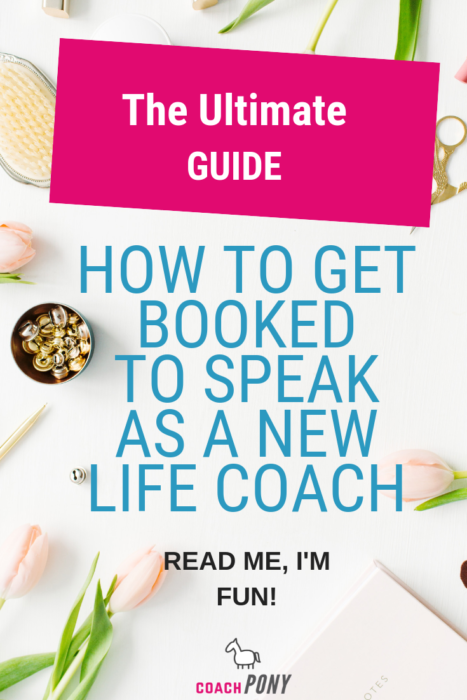 Okay, re-read this article and use whatever is helpful so you can land speaking gigs AND make sure to also read this article on why people don’t pay for life coaching, so you get more clients from your speaking, okay? We don’t want you preparing a great speech, and then still not getting clients! Go here immediately, if not sooner :).